(UPDATED) - A Makati court has denied the government's petition for an arrest warrant and hold departure order against opposition Senator Antonio Trillanes IV in connection with a dismissed case of coup d' etat, but upheld the legality of President Rodrigo Duterte's proclamation that voided the amnesty granted to the senator. 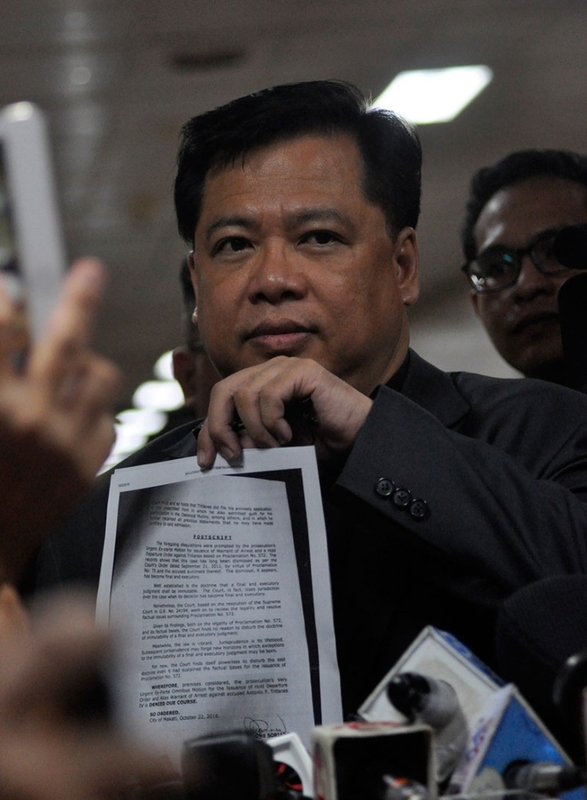 Acting Prosecutor General Richard Anthony Fadullon confirmed the court's denial of the DOJ petition. Judge Andres Bartolome Soriano of Makati RTC Branch 148 released his resolution on the Department of Justice's petition shortly before 4 p.m. Monday, October 22, more than three weeks after another court, Makati RTC Branch 150, issued an arrest warrant against the senator for revived rebellion charges. Soriano's resolution, contained in a sealed envelope, was served by Makati court sheriff Edmund De Javing to the DOJ first and to Trillanes next. 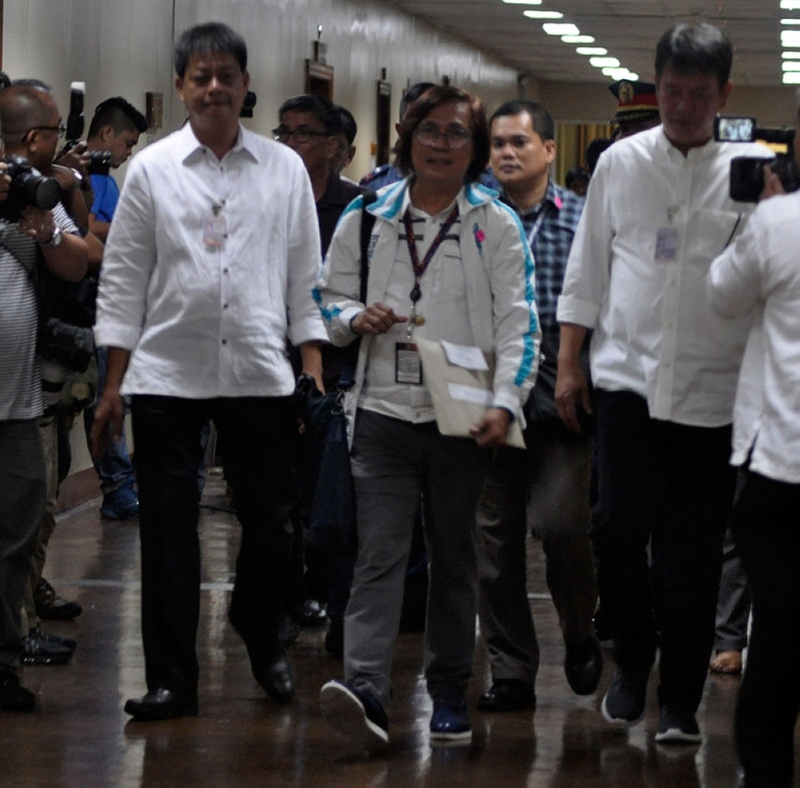 Trillanes, accompanied by his lawyer Reynaldo Robles and some members of the Magdalo Group, awaited the decision in his office at the Senate. In a press conference after receiving a copy of the resolution, Trillanes thanked Soriano for "single-handedly" upholding "justice and the rule of law despite extreme pressure from the Duterte regime." "Tayo po ay nabubuhayan ng loob na meron pong pag-asa dito sa ating bayan (There is hope in our country yet) and this is personified by Judge Soriano," he said. The senator said he was "psyched up for the worst-case scenario" and had coordinated with the Senate security for an orderly arrest. "That's how I approach life - prepare for the worst while hoping for the best," he added. Trillanes said he had planned to make a statement to the media before going down to the garage and taking the vehicle provided by the police to the Criminal Investigation and Detection Group, which had prepared for his booking procedure. The coup d' etat and rebellion cases against Trillanes were ordered revived under Proclamation No. 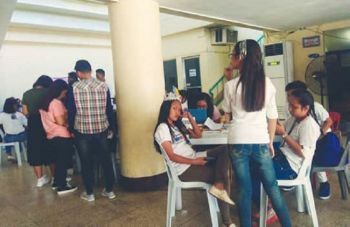 572, which President Rodrigo Duterte issued on August 31 but was made known on September 4, 2018. The proclamation voided ab initio the amnesty granted to Trillanes, ordered his arrest and directed the DOJ and the Armed Forces of the Philippines Court Martial to revive the cases against Trillanes. Makati RTC Branch 150 Judge Elmo Alameda issued an arrest warrant and hold departure order against Trillanes on September 25, but allowed the senator to post P200.000 bail on the same day. "Maliwanag po na ang findings ng korte ay ako po ay nag-apply at ako po ay nag-admit ng guilt. Eto po ang naging basehan ng proclamation. Pero itong mga issues na ito ay tatalakayin sa Korte Suprema," he said. "We shall see if this would be sustained by the Supreme Court," he added. 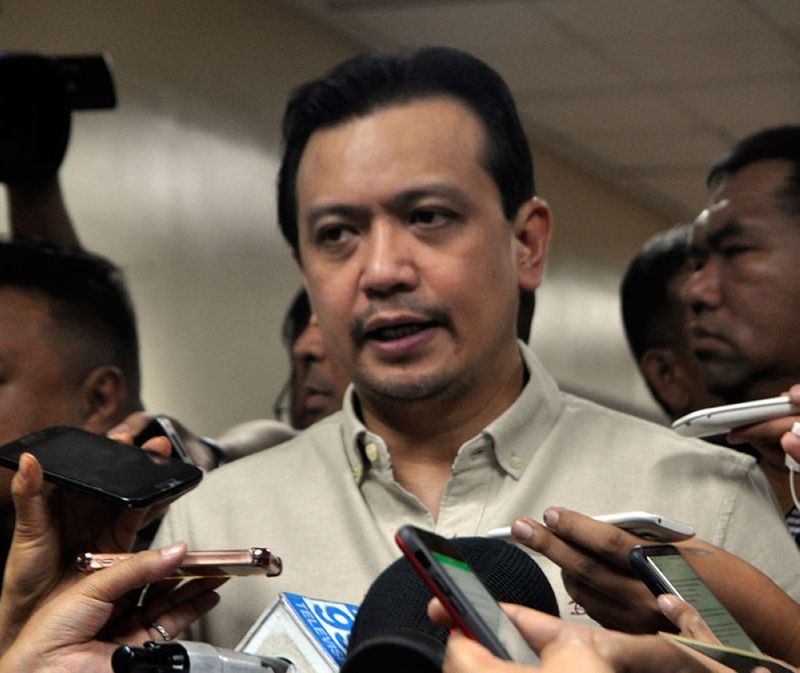 Trillanes questioned the constitutionality of Proclamation 572 and sought to stop its implementation. The Supreme Court, however, denied on September 11 the senator's request for a restraining order. Earlier, Justice Secretary Menardo Guevarra said the rebellion case has been revived and will now go to trial.